​Appliance Force warrants that it will perform all repair and replacement services (the "Services') in a competent, professional and workmanlike manner. All Services will be rendered promptly and courteously by Appliance Force employees or contractors. Appliance Force covenants that it will maintain complete and accurate records of the Services performed in accordance with, and for a period specified in, the relevant manufacturer's warranty or pertinent laws, as applicable. in all other cases, in accordance with industry standards and using either (as Appliance Force deems necessary or appropriate in its sole discretion) approved manufacturers' parts and supplies or OEM parts and supplies. 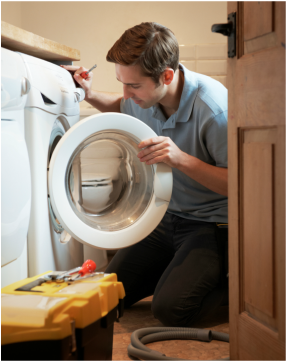 Unless otherwise specified to the customer, Appliance Force will warranty its Services and parts to the customer for non-manufacturers' warranty Services. If Appliance Force cannot provide the full warranty it will be explained to the customer prior to the Services being performed. For Diagnostic Services, the warranty period is thirty (30) days from the date the Services are initially rendered. For parts, the warranty period is 1-Year from the date the parts are initially placed in or on the stated appliance. For Labour on repairs, the warranty period is 1-Year from the date the Services are initially rendered. ​For services such as cleaning, emptying filters etc and a 30 days warranty is provided subject to customers using appliances as designed and recommended. During the warranty period and with respect to parts sold or utilized by Appliance Force, Appliance Force shall repair or replace any defective parts at its own cost. Labour costs associated with such repair or replacement will be the responsibility of the customer. With respect to Services performed by Appliance Force, Appliance Force shall re-complete the Service at its own cost. Except as stated herein, in performing the Services, Appliance Force shall not be liable to the customer for any loss, expense, injury, death or damage to the customer's property or which the customer may suffer, sustain, pay or incur, relating to or in any way attributable to or arising out of any act or omission, whether negligent or otherwise or is a Service performed which is not specifically identified in the estimate agreed to by the customer, of Appliance Force or its employees except when and to the extent that such loss, expense, injury, death or damage is a direct result of, or is directly attributable to the gross negligence or wilful misconduct of Appliance Force or its employees. Gross negligence shall not include any act or omission, insofar as it was done or not done in accordance with the instructions or express concurrence of the customer. Aside from the warranties contained herein, APPLICANCE FORCE MAKES NO OTHER WARRANTIES, EXPRESS OR IMPLIED, WITH RESPECT TO THE SERVICES, INCLUDING ANY WARRANTY OF MERCHANTABILITY OR THAT SAID SERVICE SHALL BE FIT FOR ANY PARTICULAR PURPOSE.